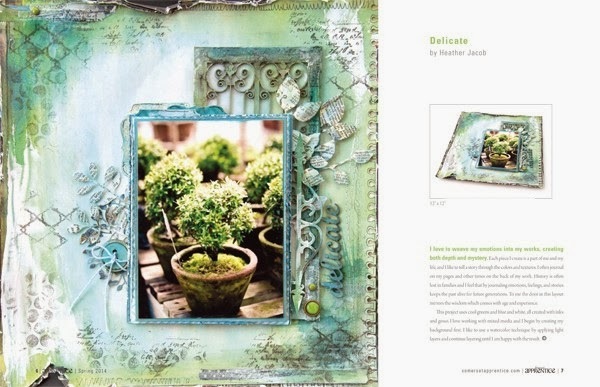 Cool greens and blue and white: all created with inks and gesso . I love working with mixed media and I begin by creating my background first. I like to use a watercolour technique by applying light layers and keep layering until I am happy with the result . I aged The chipboard door with ink, paint and crackle . I added leafy foliage with text paper and randomly stamped over the background to add texture and interest. The door in my layout to me mirrors the wisdom which comes with age and experience . I love to weave my emotions into my works, creating both depth and mystery . Each piece I create is a part of me and my life, and I like to tell a story through the colors and textures. I often journal on my pages and other times on the back of my work . History is often lost in families and I feel that by journaling emotions, feelings, and stories keeps the past alive for future generations. I STUMBLED ACROSS THIS DELIGHTFUL POEM . While working in my garden I have music all around me . of masculine and feminine energy. And breathe in the magic of life. People come and go leaving us gifts. These gifts are the elements of growth – new beginnings. BEAUTIFUL work as always Heather! I think you are so right about journaling, without that you have just pictures and if you are a scrapbooker all you have is pretty pictures nothing wrong with pretty pictures but if you are trying to preserve memories it falls short. Exquisite page! 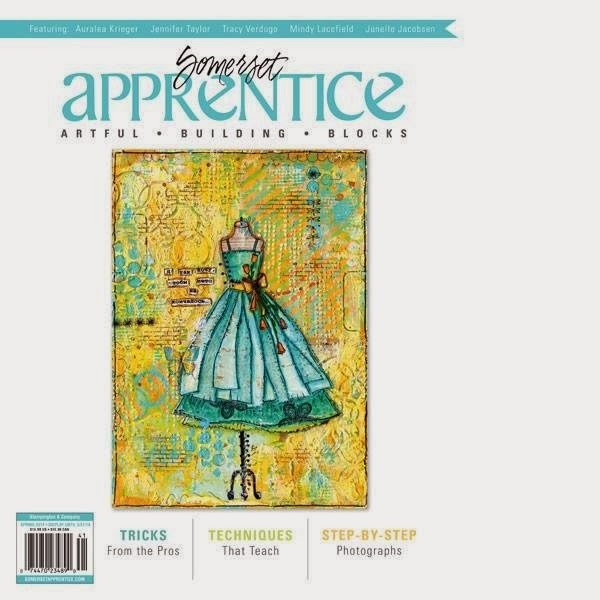 So excited for you to be pubbed in this magazine! Love all your details and textures and the meaningful message and symbols in your page. Wow, it's such an outstanding lay-out! Your background look gorgeous and I just love the delicate look. Huge congrats on your pub! Oh My oi don't think I have any words that can describe how amazing this is . Soooooooooo gorgeous! LOVING the colors!!!!! CONGRATS on the pub!!!!!!!! Simply amazing heather , I completely get why they picked you ! Congratulations. This is a really lovely layout. I'm totally in live with your creating style. How awesome! Congratulations! A gorgeous layout - love the colouring and the layers. Congrats Heather - fabulous page! Wonderful news Heather, and so very well deserved, - huge congrats, this LO is stunning once again!! A HUGE congrats Heather! Your lo is gorgeous and perfect for that magazine! Seems I will have to try get a copy of the spring issue! So glad I found your blog (finally)!